In New Moon, Alice never sees Bella jump because the wolves arrived too late to save Bella in the meadow. Instead, Bella meets Laurent face to face, and what she becomes is something far removed from the Bella Edward knows and loves. He finds her again years later, but can he remind her who he is, but more importantly, who she is? Everyone makes mistakes and Bella is about to make the biggest mistake of her life. Will Edward be able to resist the temptation of Bella’s blood much longer? Will Jacob be able to save her in time? (Post New Moon, Bella still saves Edward, Edward and the Cullens still return to Forks but this story is completely AU after the end of New Moon.) Rating is set for graphic images, sexual content and some violence in later chapters. It is said that eternity begins and ends with the ocean's tides. It is fitting therefore that many of the defining moments in Jacob and Bella's relationship happened by the oceanside. This multi-chapter fic details six of these moments. A love story. This is the first in a collection of Halloween one- shots that are twisted with lemons. The NM-AU you’ve never read before! Edward breaks up with Bella, but he doesn’t leave town. Alice has seen that in order for Bella to move on, she must see him move on. Will they ever find their way back together? Edward has left Bella, and she is broken. But even in her sorrow, she is not forgotten. Someone has been sending her letters...one every day since Edward left. Heidi brings home the bacon (so to speak) for the rest of the Volturi, and who doesn't like a nice cocktail before dinner? Some of us like to play with our food, so there is some brief fem-slash. You've been warned. 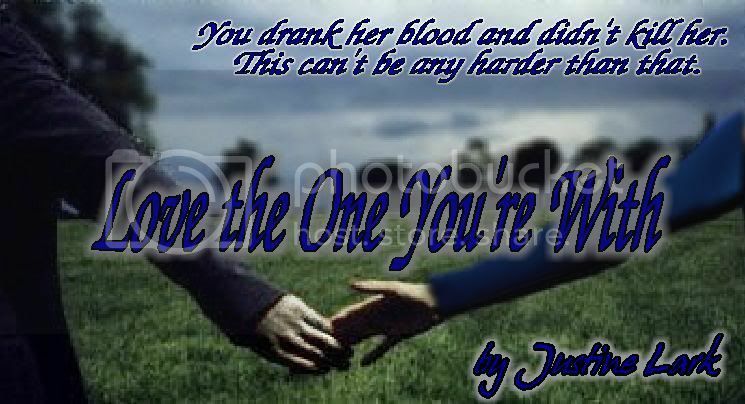 The banner was made by my FF bestie, Leanne Golightly! <3! What would have happen if the wolves didn’t show up as quickly when Laurent was in the meadow with Bella? What if they were just a few precious seconds later? And what if the voice Bella heard wasn’t a hallucination? New Moon AU. An unexpected discovery reveals that Edward lied when he left Bella. Now, Bella is determined to find a way to contact him, and in the process she learns more than she ever knew about Edward Cullen. An Edward and Bella love story. Thank you Mothlights for the fantastic banner!! Bella can't get on the plane to save Edward. She gets in a cab instead with Jacob Black her final destination. Rated for sexual content. What happens when Rosalie calls Edward and tells him about Bella jumping? No, he doesn’t go to Italy. Instead, he goes back to Forks. What will happen? Did you read the Twilight series and wonder what it would be like if SM included more...passion? Heat? Lemons of ANY kind? Ever wanted Bella and Edward to have a steamy meadow scene? Smexin' in the shiny silver Volvo? Wished that leg-hitching scene in Eclipse went where you wanted it to? You're in luck...me, too! Join me and my wonderfully pervy mind as we go through the books, sprinkling lemon drops along the way. AU, OOC, all canon pairings. Rated for sexual situations and language. Thank you to Readergoof for the awesome banner! Edward walked a knife's edge in Volterra. What if things hadn't gone so well? Love can survive when it is surrounded by monsters, but it does not survive unchanged. Deviation 'fic, New Moon. We've all turned the pages on the four blank months in New Moon. Edward left Bella in the woods and told her didn't want her anymore; his arrogance expected that she would just move on with her life. What he never expected was that she wouldn't be able to move on any more than he would. An angry Bella is something he couldn't fathom. What he didn't take into account is that Bella believes that true love is worth fighting for, and she's going to fight to keep Edward and her family. The Cullen abandonment hurt her deeply, but she's turned that pain into rage. What will happen when Bella decides to let them know she's not willing to let them walk away and leave her behind? How will they handle one mere human girl that's extremely pissed off, and willing to do whatever takes to bring them back? The saying "hell hath no fury like a woman scorned" has never rang more true. Bella's angry and on the warpath. Not even a clan of vampires will be able to stop her. Special Thanks to achelle131 for the amazing banner! "Hello, Bella," he said politely, but not warmly. I wasn't surprised, as Jasper and I had never been particularly close. "Hi Ja. . . Jasper," I managed to stammer out. "What are you doing here? I thought the whole family left?" I was starting to feel more relaxed, but I knew it was just Jasper manipulating my emotions. "We did leave," he confirmed, "but I couldn't stay with the others. I needed some...space." After Edward leaves Bella in New Moon, she puts up a brave front instead of crashing, and for closure she goes to the Cullen house only to find Jasper, who no longer can take Alice, and is deeply depressed, but together the broken souls heal and fall in love. Told in a series of communiqués, Bella recovers and heals herself from the Cullens’ influence by living her life, not as if they never existed, but as one chapter from her human life. "You told me that you would never change me, but it’s too late, Edward. I was changed from the minute our eyes met." Bella had been suffering from severe nightmares for months, but Jacob never realized just how bad they really were until he witnessed one for himself. One-shot, implied Jacob/Bella, implied Bella/Edward. It's been twenty years since Edward left Bella in Forks. 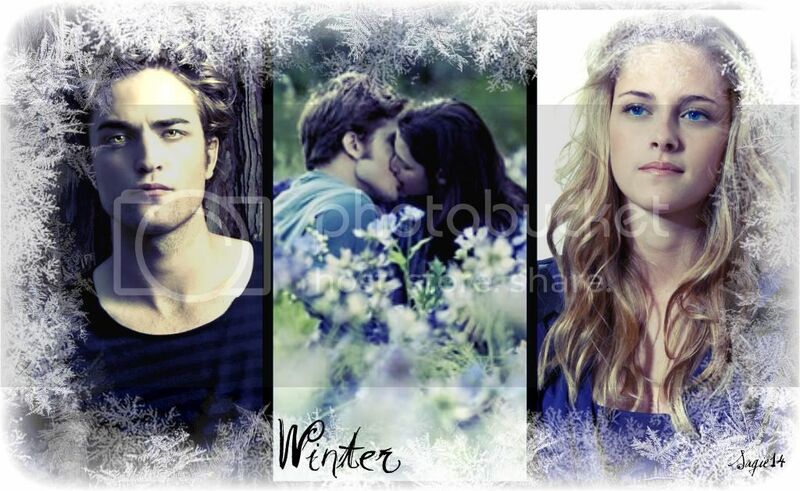 When he and the Cullens move to North Pole, Alaska, they meet someone who opens up his old wounds. Will Edward be willing to try at love again, or will he make the same mistake twice. A look at Jake's perspective during New Moon. His feelings for Bella and his surprise at his hidden heritage. After the pack finally catches and kills Victoria, Jake and Bella's relationship becomes more serious. When Bella receives a surprise birthday card almost a year after the Cullens departure her world is turned upside down once again. 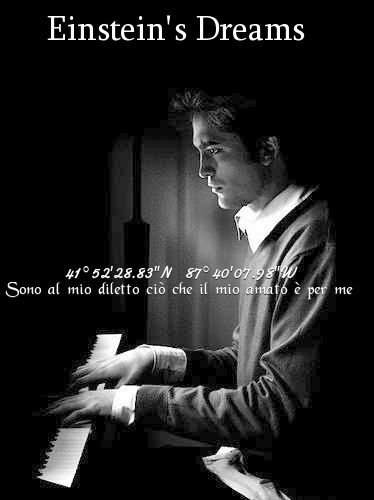 AU – New Moon. Rated for language and future lemons. DISCLAIMER: I do not own Twilight (I only wish I did). Anything you recognize from the Twilight Saga belongs to Stephenie Meyer. No copyright infringement is intended. One shot. Edward never came back in NM. Bella has, against her deepest desires, continued to grow up and has found a way to move on with her life. Now, five years later, she’s spending her summer traveling abroad with a college friend when she sees something familiar in a club. Submitted for the Hot Summer Nights challenge at PTB.